Our Prime Minister Manmohan Singh has faced a lot of flak in his tenure. What is worse is that he always deserved more. But in any case, in the recent times the entire political scenario in India is changing in strange ways. For example the PM's decision is rubbished by Rahul Gandhi - the powerhouse of the same party that our PM belongs to! Political compulsions can be understood. But this aggressive turn of events had pitched Rahul Gandhi face to face with Mr. Singh. One represents the party, while the other represents ...well - God knows what. The situation is tricky because the decision to allow criminals to run for politics was taken by the party. The same party that Rahul (practically) leads. Following the lines the Government decided to act. The Supreme Court play spoilsport by declaring it unconstitutional. But Congress was determined to let criminals be political masters. So they decided to go for the temporary but valid Ordinance route. PM Singh and his Cabinet shared a snack of relief after the Ordinance was sent to the President for approval. And then Rahul dropped the bomb saying that the Ordinance of the Government is 'nonsense' and should be 'torn apart'! That must have been a facepalm moment for the party. First of all, no one expected Rahul to speak with such force. Secondly the party going against the Government was unthinkable especially in cases of votebank politics. So in the end the result looks simple. 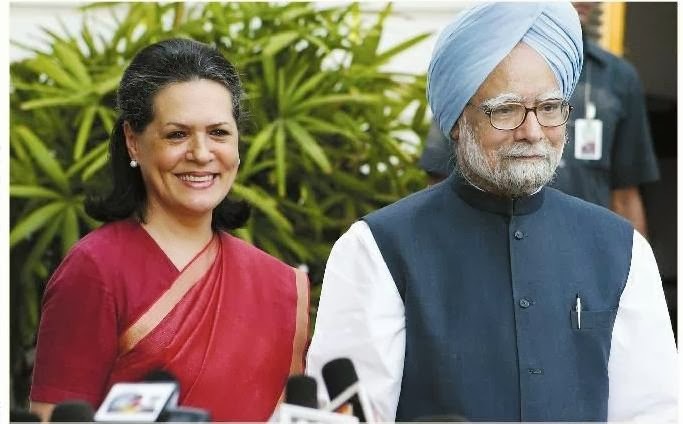 The party is being led by the righteous Rahul Gandhi and the old corrupt inefficient PM Manmohan Singh is supporting the Ordinance to let crooks rule! I just hope he ain't just a sacrificial lamb to project Rahul as an honest and powerful candidate to oppose the irresistible juggernaut of Narendra Modi.